Who could resist this charming little puppy's appeal to Santa? 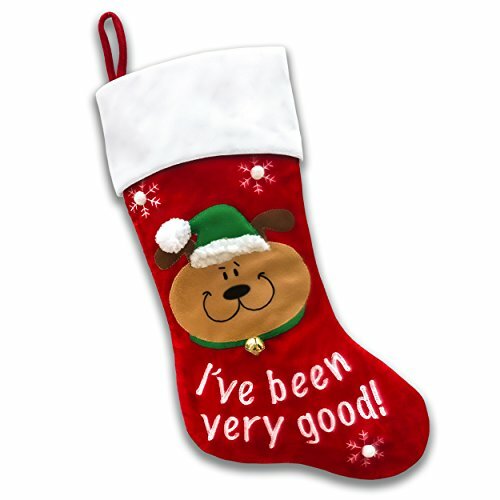 Our 'I've been very good' pet stocking is constructed of rich red velvet with a plush white velvet cuff perfect for DIY customization with your dog's name. A jingle bell graces the puppy's collar and thick tufted pom poms top his Santa hat and snowflakes. A very special stocking for a very special family member. If you have any questions about this product by GiGi Seasons, contact us by completing and submitting the form below. If you are looking for a specif part number, please include it with your message.